Impressive group of lavas next to the sea, perforated by many grottoes and tunnels. Volcanic arches over the sea. 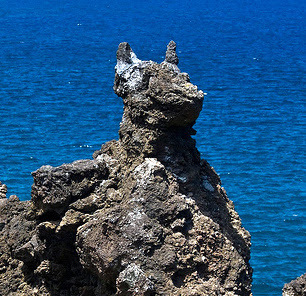 Rocks with curious shapes, one of them resembling the muzzle of a dog which possibly gave the place its name (Arcos do Cachorro means Arches of the Puppy).